Kate DiCamillo’s beloved book is brought to life in Filament’s characteristic intimate style, with dynamic characters and live music. 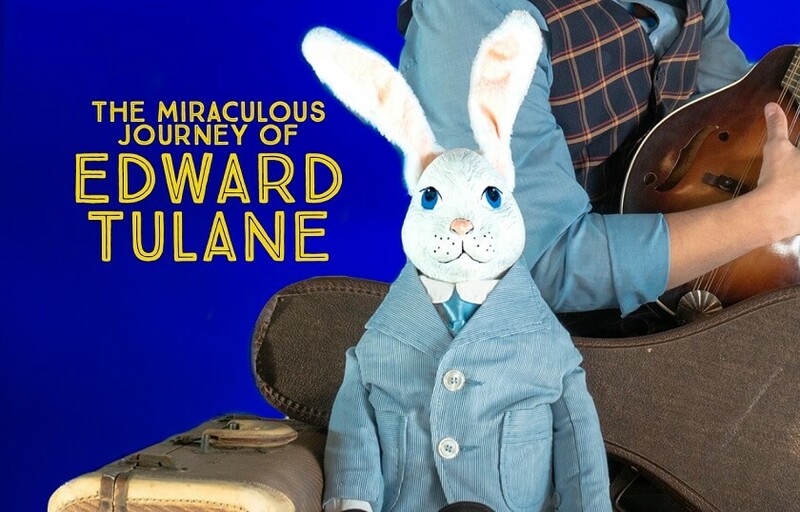 Edward Tulane is an expensive toy rabbit made of china. He is loved by a little girl named Abilene, but Edward has no interest in anyone other than himself. On an ocean voyage, Edward is accidentally thrown overboard and sinks to the bottom of the sea. So begins his journey—a journey over which he has no control, for he is a toy rabbit. He can neither move nor speak. As years pass by, Edward meets many different people in many different situations. Through this miraculous journey, Edward learns what it is to love, what it is to lose that love, and how to find the courage to love again.